A health-care advocate who started the hashtag #endpjparalysis has ignited a conversation about what he says is a harmful patient practice that has been "hidden in plain sight." "Pyjamas make you perceive yourself as unwell," said Brian Dolan, a visiting professor of nursing at Oxford Institute of Nursing, Midwifery and Allied Health Research in the U.K.
"People come into hospital, they get into their pyjamas, and then they are paralyzed in their pyjamas," he said. Accordingly, he started the #endpjparalysis hashtag to encourage patients "to get up, dressed, and moving" to help combat the effects of staying in a hospital bed for long periods of time, including muscle loss, a decline in general fitness and making people "just feel miserable," he told The Current's Anna Maria Tremonti. Hospitals in the U.K., Australia and Canada are taking up the fight to get patients out of their PJs, including in Calgary and Edmonton. 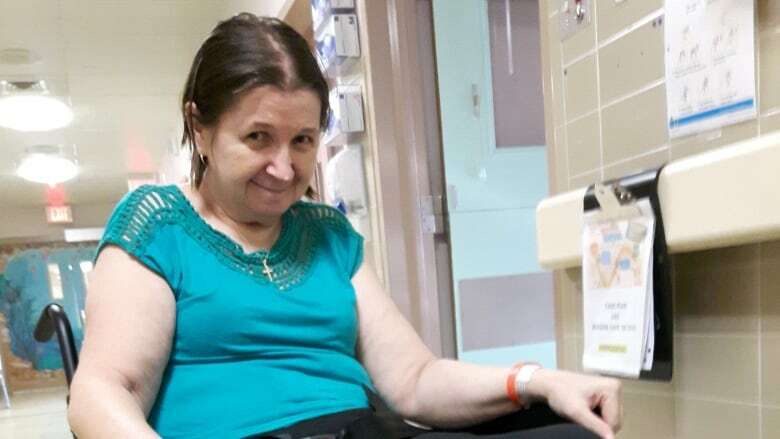 One Calgary patient, Rozalia Meichl, told CBC News she makes an effort to change out of her hospital gown every morning, even if it takes her some time. "When you get up in the morning, get cleaned up and get dressed, and get more mobile, you are more apt to heal faster," the 64-year-old said. "It just feels good to be dressed. It just makes you feel more — more like a person, and less like, for lack of better terms, invalid." With files from CBC News. Produced by Danielle Carr.